The essential GLA (gamma linolenic acid) is not just your ordinary Smart Fat. Distinctively different than thyroid-targeting coconut oil, GLA is a multitasking essential fatty acid that activates brown fat to effortlessly burn calories from heat. Our bodies need to get GLA from foods because we cannot manufacture this essential fatty acid without an outside source. GLA has proven benefits to ignite a slow metabolism and is a healer for PMS, bloating, depression, diabetic neuropathy, morning stiffness, and skin conditions like psoriasis and eczema. As far back as the 1980s, many studies focused on GLA as a natural aid to weight reduction. They were published in prestigious medical journals such as the New England Journal of Medicine. These reports documented GLA's definite promise in the battle of the bulge. GLA regulates metabolic functions all the way down to the cellular level, helping the cardiovascular, immune, and reproductive and central nervous systems through its prostaglandin pathways. Prostaglandins are short-lived hormone-like substances that regulate metabolic processes throughout the body. They were discovered over 60 years ago in the prostate gland, hence the name "prostaglandins." Today, prostaglandins are included in a larger group of hormones known as eicosanoids. So profound is the ability of the essential fats to transform themselves into these substances that the 1982 Nobel Prize in medicine was awarded to scientists in prostaglandin research. Prostaglandins can only be made from two essential Smart Fats, GLA, an omega-6, and EPA, an omega-3 fat. These two are the direct prostaglandin building blocks. Together they form an unbeatable combination and ideally should be consumed in a one-to-one ratio since so many overweight individuals are GLA deficient based upon essential fatty acid testing. All That And Fat Burning, Too! Our Smart Fat produced prostaglandins have far reaching implications. They control inflammation, blood clotting, blood pressure, tumor growth, brain function and allergies. 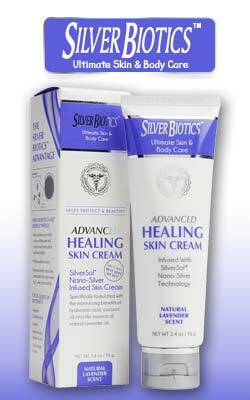 They soothe skin, promote healing and regulate water loss. Their natural anti-inflammatory properties reduce pain, swelling and redness. They are burned off much more quickly than other fats and their biochemical structure easily permeates cell walls, making them flexible and less rigid and stiff, thereby inhibiting overeating because of more rapid satiety. Other GLA attributes include stellar skin protection to moisturize internally and diminish symptoms of eczema and psoriasis; reduction of excess inflammation and alleviation of morning stiffness; support of healthy cholesterol and relief of PMS, perimenopause, and menopausal symptoms; and alleviation of hangover and substance abuse symptoms. The series one prostaglandins created from GLA are believed to regulate many aspects of metabolism. GLA-induced prostaglandins regulate brown fat by acting as a catalyst to either turn it on to trigger calorie burning or turn it off to trigger calorie conservation. Prostaglandins are also connected to a metabolic process referred to as ATPase. ATPase is also known as the sodium pump, a biochemical process necessary to keep the right amount of potassium inside cell walls and too much sodium out. GLA-rich substances like black currant seed oil, by means of prostaglandin activity, control the sodium pump, which in turn revs up metabolism. When GLA is in the diet, it operates as a remarkable fat-burning agent when it triggers brown fat calorie burning and the sodium pump. Brown fat is also known as brown adipose tissue or BAT. It gets its color from the many fat-burning mitochondria it contains. It only comprises 10 percent or less of total body fat, yet it can burn one-fourth of the calories burned by all other fat tissues combined. In a similar way, GLA can stimulate the sodium pump to use up to nearly 50 percent of the body's total calories. In 2009 a flurry of new studies about fighting fat came out that were heralded as the "newest obesity theory," claiming that brown fat was a potent regulator of metabolism and weight. The research said that brown fat was deficient in overweight people and was primarily activated by cold. I remember shaking my head about this new obesity theory because I had written about brown fat back in 1988 in connection with GLA. Since the new research, the scientists completely overlooked the role of GLA, which stimulates brown fat activity, through its prostaglandin pathways. And while omega-6s as a whole have gotten a bad rap, their reputation is not quite justified. The issue is that GLA's raw materials, the linoleic-acid containing safflower, sunflower, soy and corn oil, are possible, but not always probable, precursors. Possible—because under ideal conditions they should easily be converted into the powerful prostaglandins that have all the healing and metabolic benefits. Since food sources cannot always convert into GLA on their own, you are much better off taking GLA in supplemental form from borage, evening primrose or black currant seed oil with two exceptions: hemp seed oil (not marijuana but from the same plant) and spirulina, a blue green microalgae. Hemp seed oil contains "pre-formed" GLA with a perfect blend of omega-3s. If you prefer to take a supplement, my recommendation is the GLA from black currant seed oil. Because of all the pre-formed GLA sources, it is the best balanced with omega-3s as part of its makeup. Perhaps most interesting of all is the hypothesis that GLA, like other fatty acids, has the potential to elevate levels of serotonin, the "feel good" brain chemical which contributes to the feeling of fullness. By elevating serotonin, you will feel calmer and satiated sooner. So not only does GLA have the ability to increase the body's metabolism and burn fat, but it may also work as an appetite suppressant as well. Want to know how to get more GLA in your life for a metabolic kick? 1. Nibble on hemp "hearts" (seeds) and drizzle hemp seed oil. Hemp is a great tasting source of balanced omega-6 and omega-3, and also contains vitamin E. Nutty and full of flavor; the hemp seeds are great snacks and make a smoothie nice and creamy. The oil is perfect over veggies and salads. Besides spirulina, which can be taken as a supplement or sprinkled in powder form in a smoothie or green drink, hemp seeds and oil are the only direct preformed food sources of thermogenic GLA. 2. Take supplements of ready-made GLA. Found in black currant seed oil, borage or evening primrose oil for stronger GLA power, I recommend 360 to 900 mg daily. CLA (conjugated linoleic acid) has profound fat loss and healing benefits. CLA helps reduce body fat while retaining lean muscle mass, a ready-made innate calorie burner. It is also considered a necessary fatty acid for both cell growth and as a building block for cell membranes. To date, there are over 500 published studies on this previously unrecognized nutrient. The first human clinical trial using CLA was conducted in 1997 in Norway. It was a 90-day double-blind clinical study that showed a stunning 20 percent decrease in body fat, with an average loss of seven pounds of fat in the group taking CLA. These results were achieved without a single change in dietary habits, establishing CLA supplementation for the first time as a simple, effortless weight loss tool. In addition to the ability to reduce body fat, CLA has also been shown to increase lean muscle mass. In this same study, although participants lost body fat, they experienced very little change in overall body weight due to the increase in lean muscle mass. The end result was a stronger, healthier body. CLA is also a powerful tool for anyone who finds themselves with weight gain over the holidays. In 2006 researchers studied 40 healthy but overweight subjects over a period of six months. Over the holiday season, the placebo group displayed a greater rate of weight gain; while the CLA group showed significantly reduced body fat of around 2.2 kg over the six month period. Cellulite be gone! Did you know that biopsies of cellulite demonstrate that unlike fat in most other areas, the fat within cellulite is actually inflamed? This type of inflammation speeds up the breakdown of collagen and contributes to that puckered-up, orange peel look we all dread. Studies also show that CLA increases strong and healthy collagen and prevents fat cells from accumulating even more fat and swelling up. And, both ultrasound and visual examination has proven that CLA can markedly reduce the appearance of cellulite. CLA occurs naturally in grass-fed dairy foods—especially cream, butter and full-fat cheese. It is also found in beef and lamb. Before the 1970s, Americans got plenty of CLA by eating these Smart Fat-filled foods. Today we are getting next to no CLA because livestock is rarely grass-fed anymore, which decreases CLA levels by about 80 percent. To compound this deficiency, over the past 70 years many misguided Americans on low- or no-fat diets have stopped eating these dietary sources of CLA. While adding grass-fed dairy and meats back into your diet is highly recommended for a variety of health reasons, there are other ways to get more potentized CLA into your body. Science has been able to create CLA from the linoleic acid found in sunflower and safflower oils. Today CLA is available as a convenient dietary supplement. Want to increase your CLA to rev up metabolic rate? Eat CLA-rich grass-fed beef and pastured butter and cream. Also be on the lookout for grass-fed, non-denatured whey. Consider CLA supplements from conjugated safflower or sunflower oil. I recommend 3,000 mg daily. But, just be careful. With many of my clients, you lose weight so quickly you will go down a pants size or two in no time! GLA vs. CLA: What's the difference you ask? GLA (gamma linolenic acid) and CLA (conjugated linoleic acid) are both important fatty acids that will help burn fat to promote weight loss, and help control appetite to prevent weight gain. They can be taken individually or as a duo to help break down fat. GLA raises your metabolism by stimulating brown fat (adipose tissue) in the body to burn calories for energy. CLA especially targets visceral fat (found deep within the abdominal area) and is helpful for burning belly fat while increasing lean muscle mass. Next Article Caloric Restriction, Ketogenic Diet, or a Third Way?